The island of New Guinea was discovered by Spanish navigator Jorge de Menezes, who landed on the northwest shore in 1527. Attracted by exaggerated estimates of the resources available, the island was claimed, in part or whole, by Spain, the Netherlands, Great Britain and Germany. Papua, formerly British New Guinea, situated in the southeastern quarter of the island, had an area of 234,499 square kilometers (90,540 square miles) and a population of 750,000. It was temporarily annexed by Queensland in 1883 and by the British Crown in 1888. 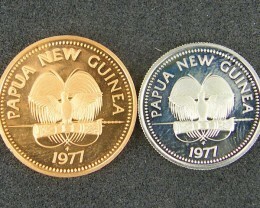 British New Guinea used the standard British monetary system where 12 pence = 1 shilling and 20 shillings = 1 pound. 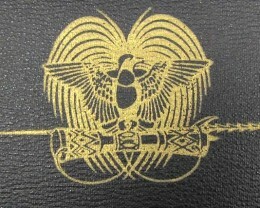 Papua came under the control of the Australian Commonwealth in 1901 and became the Territory of Papua in 1906. In 1884, Germany annexed the area known as German New Guinea (also Neu Guinea or Kaiser Wilhelmsland) comprising the northeastern quarter of the island and granted its administration and development to the Neu-Guinea Compagnie. Administration reverted to Germany in 1889 following the failure of the company to exercise adequate administration. While a German protectorate, German New Guinea had an area of 238,692 square kilometers (92,159 square miles) and a population of 250,000. The capital was Hebertshohe (later Rabaul). 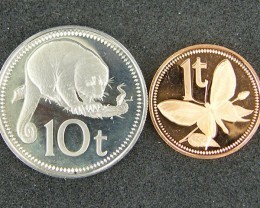 German New Guinea used a German decimal money system where 100 Pfennig = 1 Mark. Australian troops occupied German New Guinea in August, 1914, shortly after Britain declared war on Germany. 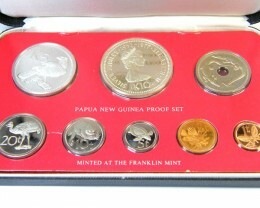 It was mandated to Australia by the League of Nations in 1920, known as the Territory of New Guinea. Japan invaded New Guinea and Papua in early 1942, but Australian control was restored before the end of the year in Papua and in 1945 in New Guinea. Following Japanese surrender, both territories came under U.N. trusteeship with Australia as the administering power. 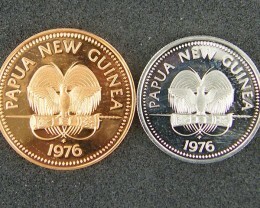 The Papua and New Guinea Act, 1949 provided for the government of Papua and New Guinea as one administrative unit. 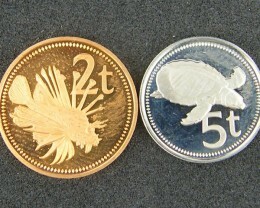 After World War II, Australian currency was used exclusively in the two territories. 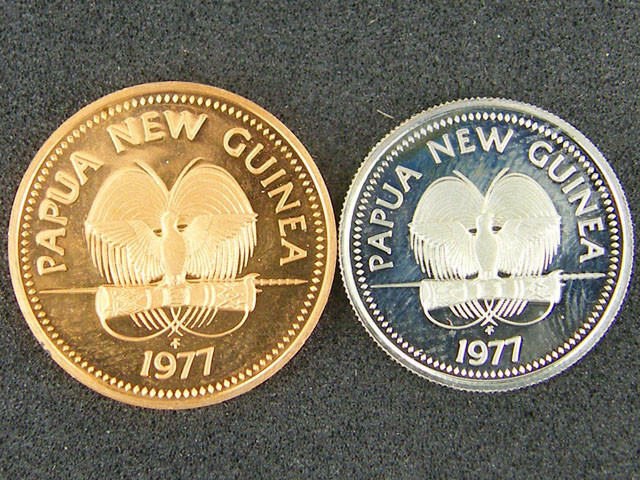 On December 1, 1973, Papua New Guinea became self governing with Australia retaining responsibility for defense and foreign affairs. Full independence was achieved within the British Commonwealth on September 16, 1975. 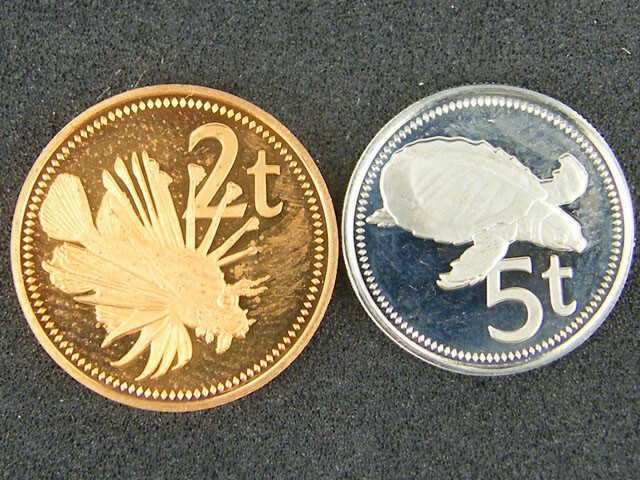 Following independence, the country commenced its own currency issues using a decimal system where 100 Toea = 1 Kina.